Transcendence, the Singularity and Anarchism: a Promethean Tale? 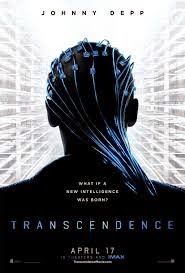 Transcendence (2014) is the directorial debut of Wally Pfister, better known for his work as the cinematographer who filmed Christopher Nolan's works since Memento. 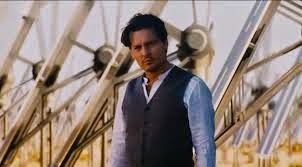 Transcendence is the story of a leading Artificial Intelligence (AI) researcher, Dr Will Caster (Johnny Depp) who strives to create AI capable of the full range of human emotions. Following his mortal wounding by neo-ludite terrorists, Will, with the help of his wife Evelyn (Rebecca Hall) and his colleague Max (Paul Bettany), Will’s consciousness is digitalised and uploaded to the web. In a Frankensteinien turn, Max immediately rejects the creation as monstrous distortion of Will’s former self, and eventually joins the terrorist cell that deposed him of his corporeality. Evelyn is henceforth moved to protect the digital remnant of her husband, and literally goes underground in New Mexico. Here, with Will’s ability to generate financial resources, Evelyn oversees the construction of an expansive facility. This in turn allows Will to grow in power, size and intelligence, and to ultimately, achieve “the singularity.” The singularity, as it has been distilled within the narrative logic of Transcendence, reiterates ideas in Ray Kurzweil’s most famous work, The Singularity Is Near: When Humans Transcend Biology. The singularity is here defined as, “the union of human and machine, in which the knowledge and skills embedded in our brains will be combined with the vastly greater capacity, speed, and knowledge-sharing ability of our own creations.” This process, which Will prefers to describe as “transcendence” endows him with an analytical power vastly "greater than the collective intelligence of every person in the history of the world." As he develops a God-like ability to regenerate all life, Will sets about the eradication of famine, illness and even environmental damage, and in the process, copies his digital self into every organism that he comes into contact with. The key problematic forwarded within Transcendence is whether or not technological advancement is the solution to, or the symptom of, the seemingly inevitable extinction of humanity? Given the opportunity, should we transcend our present human condition, or should we revert to a state of nature? What is most compelling about this film is its ambiguous rendering of the heroes and villains of the narrative. Is Will conducting himself in the best interests of humanity? Or has his digitalisation eliminated his capacity for ethical decision-making? Interestingly, neither Max nor Evelyn conduct themselves with the assurance necessary for spectators to be confident that they have identified the true protagonist of the film. No one character, not even Morgan Freeman, serves as a moral barometer of right and wrong, which forces audiences to hazard their own moral judgement in order to try and work out who they should identify with. The catch is that insofar as the decisions made by each and every character helps to bring about a post-apocalyptic nightmare, there is no hero. In this way, the film brings to bear our own complicity in the violent solutions enacted to resolve collective problems. Viewed through the prism of anarchism, the principle failure each of the characters is the initiation of force, to impose their will upon others. 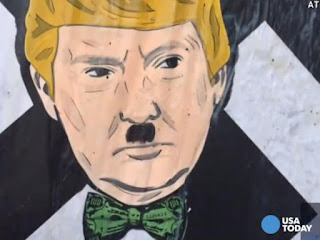 Anarchism, as it has been elaborated in the work of philosopher Stefan Molyneaux, posits that in order to achieve an ethical and mutually beneficial society, the non-aggression principle is universally applicable to all, NO EXCEPTIONS. The non-aggression principle holds that it is immoral and impermissible for a person or entity to initiate force against another. The non-aggression principle thus recognises the right to self-determination, the freedom of all individuals to make decisions in their own best interests, and freedom from the threat of physical, psychological or emotional violence. Each person has sovereignty over their body, the decisions they make and the material products of their labour. This also means that individuals are themselves responsible for the consequences of their own decisions and actions. 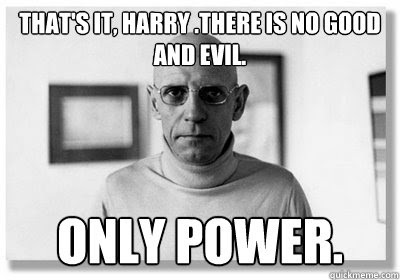 Within Transcendence, each of the principal characters, at one time or another, violate the non-aggression principle. Most obviously, the terrorists initiate mass carnage to prevent the development of AI technology, which sets in train that which they feared – the uploading of human consciousness and the apparent establishment of an omnipresent totalitarian regime. While Max is initially a victim of the group insofar as he is kidnapped, he later actively participates in their violent attack on Will’s New Mexico facilities. 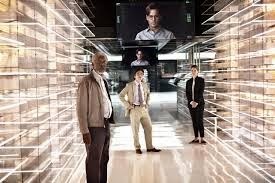 While Will does breach the non-aggression principle, the film also draws upon sci-fi conventions to prompt spectators to mis-judge other of his actions out of fear. For example, when he heals the local townspeople he alters their bodies, they become stronger, they are able to regenerate, and he can henceforth co-inhabit their consciousness. This plot point recalls the canon of sci-fi classics wherein the human body becomes a cipher for alien infiltration (Invaders from Mars (William Cameron Menzies, 1953), Invasion of the Body Snatchers (Don Siegal, 1956)) or technological conquest (Terminator 2 (James Cameron, 1991)). These sci-fi conventions resonate with the narrative of Transcendence to suggest that Will is building an army, and thus undermine spectatorial faith in his motivations. What is interesting here is that with the exception of the first emergency surgery, all of the people whom he transforms are volunteers, that is insofar as Will does not impose his will over these people he has not violated the non-aggression principle. Moreover, when the “army” is mobilised it is in self-defence. It is also worth noting that the visual composition of many scenes elicit a sense of unease with regard to Will's motivations. For instance the endless fields of solar panels that carpet the desert and provide him with the energy he needs to grow, and extends well beyond the frame and well into the distance of each shot. Interior shots of the computer also give this sense that Will's power is becoming tyrannical insofar as it appears all-encompassing and relentless power. The second arguable violation enacted by Will is that his actions deny others the right to self-determination. When he digitally copies himself into the fabric of the virtual, man-made and natural environment, others who share that environment are denied a choice in the process. Key to the NAP is the rejection of the belief that the enforcement of a particular action (even when decided democratically) is permissible when performed in the best interest of the majority. While it is revealed that Will did conduct himself in the best interests of all, he denied others the right to count themselves out. This imposition of Will/will is emphasised when he reveals to Evelyn that he has extracted data from her body. Evelyn perceives this as a violent breach of trust insofar as Will has accessed her body without permission. Motivated by the fear of loosing her, he has denied her right to agency within the relationship. Like the terrorist’s before him, his very human fear drives Will to breach the non-aggression principle, driving Evelyn to leave and then kill him. In the film, each of the characters allows fear to drive their decision making; fear of death, of loss and of technological change. And it is this fear, not the technology, that fuels the use of force, and which dooms the surviving characters to a pitiful existence picking a living from the detritus of a world that could have been. As such the film counter-points the resurgence of technophobic narratives within the sci-fi genre (most often spurred by environmental concerns). Much like its B-film forbear, The Day the Earth Stood Still (Robert Wise, 1951), Transcendence warns of how the ability to collaboratively and productively develop technological solutions, is destined to be undermined by a violent use of technology to assuage fear. What is unique to this film is how it implicates the spectator in this future – a factor, I expect, played no small part in the multitude of unsavoury reviews.